There was a time when Google was the undisputed champion of online searches. Be it the economic data on a country or product searches for your next shopping spree, Google had a monopoly over ALL internet searches. However, in a recent survey by Survata, a research firm, 55% of the people said that Amazon – not Google – was now their first choice for product searches. Shocking as it may seem, it is a stark reality. And, this has sent shock waves across the e-commerce industry.In response to this new finding, Google has now decided to enter the e-commerce market, making it Amazon’s competitor. As a result, Amazon has decided tp cut down on their Google ad spends by 30%. That’s a huge disruption in the e-commerce sector, and also the digital sector, as e-commerce is one of the major spenders. Google has decided to replicate the same strategy in India, thus challenging the Indian e-commerce giant Flipkart. Thus, even Flipkart has cut down on its Google ad spends by 30%. As Google is not an option to provide digital advertising services, companies like Amazon and Flipkart would have to look for alternative options. 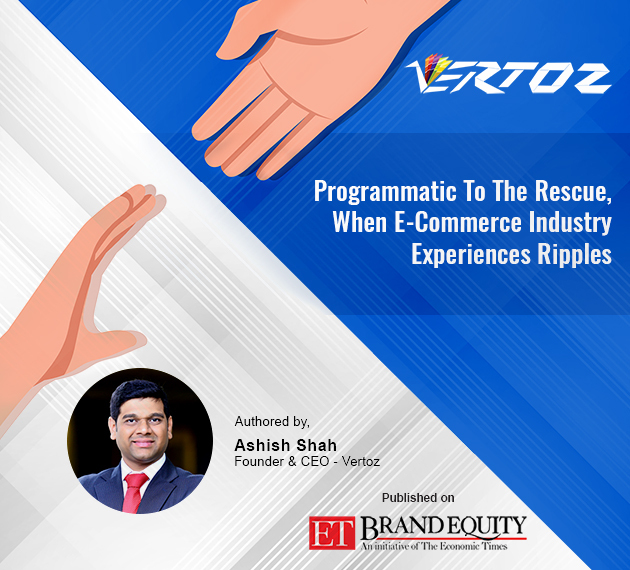 Vertoz’s Founder and CEO, Ashish Shah, recently shared his views on how programmatic advertising can be a viable option for them and how this would present the small players in the industry, with new business opportunities. Ashish emphasized on why this would work out well. First, programmatic advertising is a emerging trend in the Indian digital advertising space. With its innovative and automated approach involving the use of software programs, codes and algorithms, programmatic advertising looks quite promising. The best part is its ability to take decisions based entirely on data. Thus, the outcomes tend to be relevant, and can be experienced in the forms of personalised ads, accurate targeting and retargeting options, and advanced techniques like Dynamic Creative Optimization (DCO), and many more. It is the perfect opportunity for the programmatic advertising companies to leverage the emerging new business opportunities that are coming their way. Recognizing the hidden opportunities is after all the way to ensure that one stays ahead of the competition!